This week’s guest is Tammy Tweten, from Ed Tech Nerdo. 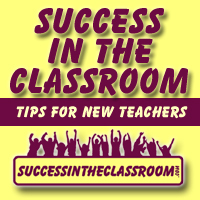 In this episode, I have a great time speaking with Tammy about technology and how she is using it in the classroom. I was very impressed with how she has incorporated Chromebooks in her lessons. I have seen how iPads have been utilized in classrooms, but Tammy shares how she was able to acquire 30 Chromebooks for her students and how she is using them in her classroom. Tammy also shares her what she learned while attending the CUE conference. Her biggest take away was the power of Twitter. 1. They have a passion for learning. 2. They love working with kids. 3. They have the ability to take criticism and learn from their mistakes. Although the recording has a few glitches, I know you will find what Tammy shares very informative and inspiring.